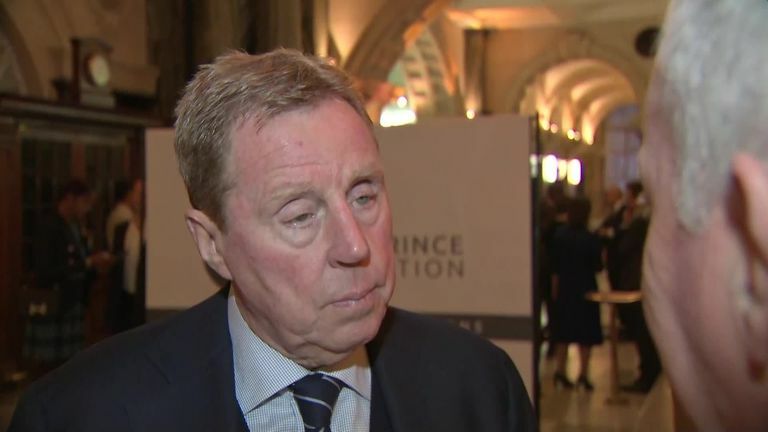 Harry Redknapp believes England will win a major championship within the next eight years. England reached the semi-finals of last year's World Cup, their best performance at a major tournament since Euro 1996, and Redknapp is backing Gareth Southgate's side to end the nation's long wait for silverware. "We've got an amazing group of young players," said Redknapp. "It's such an exciting time. Gareth is in for a great ride with these young kids. I just see so much talent there, the future looks amazing. "I think we are on course to win a European Championship or World Cup in the next eight years. There is a big competition in this group of England players." Redknapp was also effusive in his praise for England captain Harry Kane, who he worked with during his time as manager of Tottenham. "He's just a class act, on and off the field," said Redknapp. "People said the same about Bobby Moore - a great captain and leader. "He's a great guy, a perfect role model. He gets on with his football and trains hard, works hard. You never see anything bad about him; he's a family man." Redknapp was speaking at the Kiyan Prince Foundation charity event. Kiyan was a QPR youth player who was knifed to death aged 15. The foundation started by Dr Mark Prince works to educate kids and keep youngsters away from knife crime - and on Tuesday he was awarded an OBE by Prince William for his charity work.